LONDON, April 8. /TASS/. The Russian Embassy in London refutes British media reports that claim that Russia supports the military operation of the Libyan National Army under the command of Field Marshal Khalifa Haftar, a spokesman for the diplomatic mission told TASS on Monday. “Such statements are far from the truth. The Russian side maintains contacts with all political forces in Libya and sends them all the same signals, without trying to put its stakes on someone in particular. We think that all involved Libyan parties should exercise calmness and restraint. It is clear that a military scenario may further complicate the already difficult situation in the country, and it may lead to new casualties and damages,” the spokesman said. “In a search for ways to overcome this crisis, Russia has always been and will remain devoted to political-diplomatic settlement, and insists that Libyans themselves should determine their future. We support the efforts of UN Secretary General Antonio Guterres and Special Representative for Libya Ghassan Salame to normalize the situation. We hope for the soonest start of a stable inclusive intra-Libyan political process under the UN auspices,” the spokesman concluded. Hey Buddy!, I found this information for you: "Russian Embassy in London refutes media reports on Moscow’s support for Libya’s Haftar". 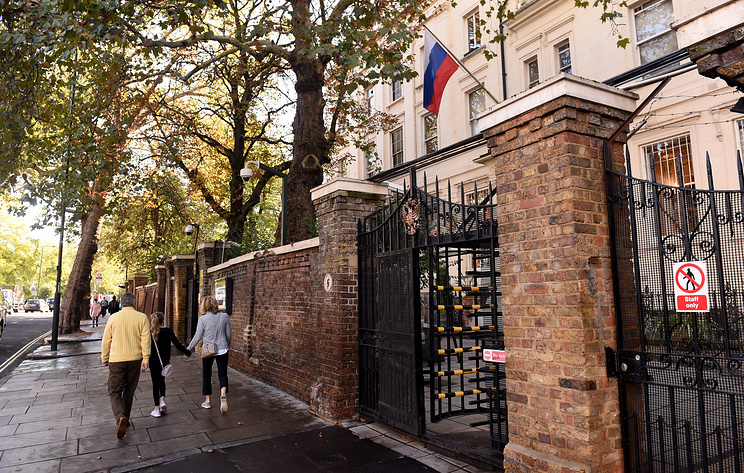 Here is the website link: https://russophile.org/russian-embassy-in-london-refutes-media-reports-on-moscows-support-for-libyas-haftar/. Thank you.